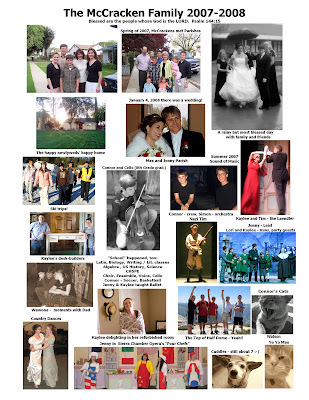 The McCracken Family: 2007 - 2008 "Yearbook page"
It worked! Wow! What a privilege to be featured on your page. :-) It's amazing to look back on the wonderful way the Lord has made us family. I'm so thankful! Much love to the McCracken Family!